What makes us A New Generation Farmers Market? We aren’t just a place to buy fresh veggies and head home. We are an experience! 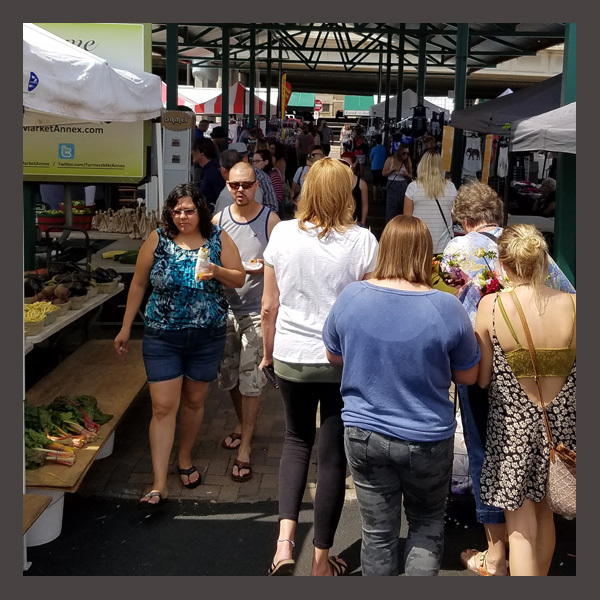 You can spend hours taking in the sights and sounds and smells of the market, and you can still come home with those fresh veggies! Rain or shine, hot or cold, there is plenty going on around the Annex. Come see yourself what the Farmers Market Annex is all about! 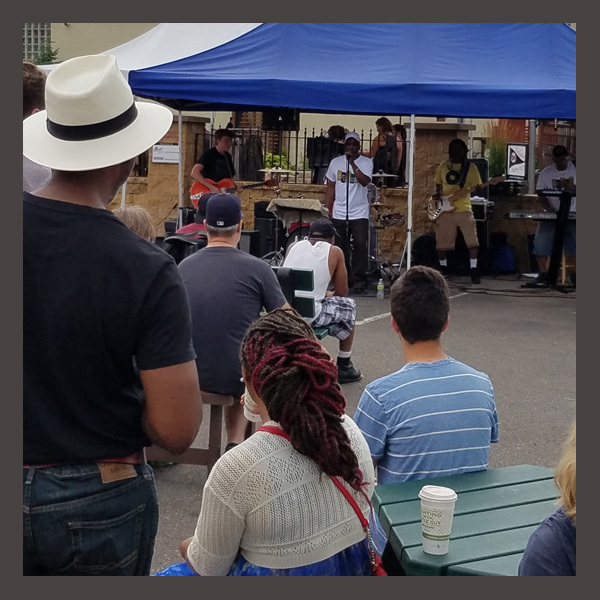 Nothing can liven up a farmers market like live music! We have live music every weekend at the Annex. Our mix of talented musicians play folk, funk, jazz, rock and more. We’ve even heard the Itsy Bitsy Spider mixed into set lists! There is plenty going on around the market as well. 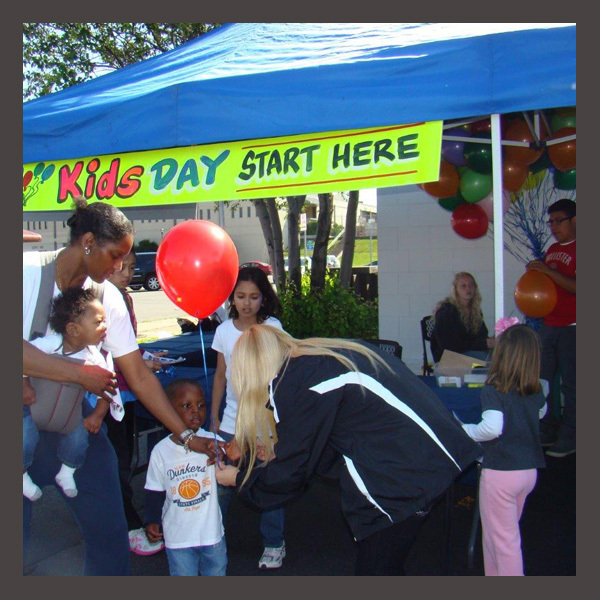 We’ve hosted many one time events like kids day, pet adoptions, and exercise classes. 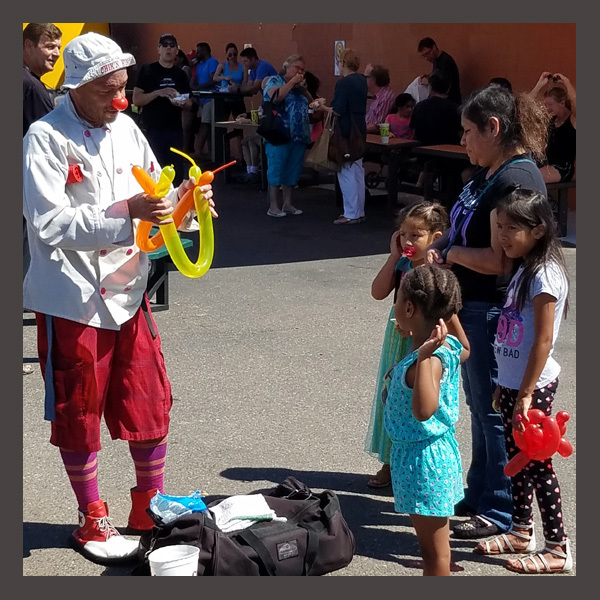 We host an annual Trick or Treat event every October, and new this year is Summerfest! Keep an eye out on social media for what events are coming though the market this weekend! The Annex prides itself in being a family friendly environment. Chick’n Wing is here almost every week making balloon animals. Our bounce house is set up whenever Mother Nature allows for it. Plenty of those events we talked about above are geared towards kids as well. And don’t be worried about picky eaters, what kid doesn’t love a corn dog or donut? We’ve got them covered! Speaking of food, one of the biggest draws to any market is the food. Breakfast, brunch, lunch, any time you come you’ll find plenty of food options! We have an awesome group of concessions vendors, dedicated to THEIR specialties. 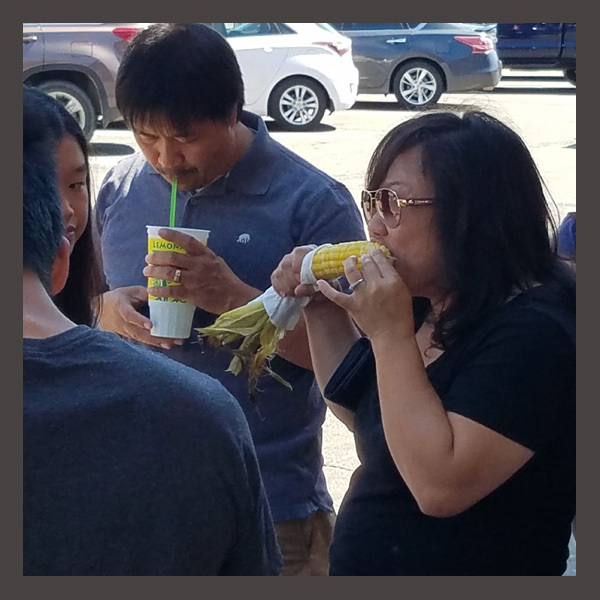 We think of ourselves as the Tastiest Market in Town, and you should come see for yourself just how tasty we are. Check out our the full list of our concession vendors and learn more about their deliciousness. If all that doesn’t get you excited, then how about just simply using the market as a reason to get out of the house and get some steps in? Just come out, enjoy the weather, and take a stroll by the dozens and dozens of vendors who are here every week, rain or shine, hot or cold. Simply coming to the market shows your support for all these hard working small businesses (though they’d love it if you bought some stuff to). Come experience A Next Generation Farmers Market!